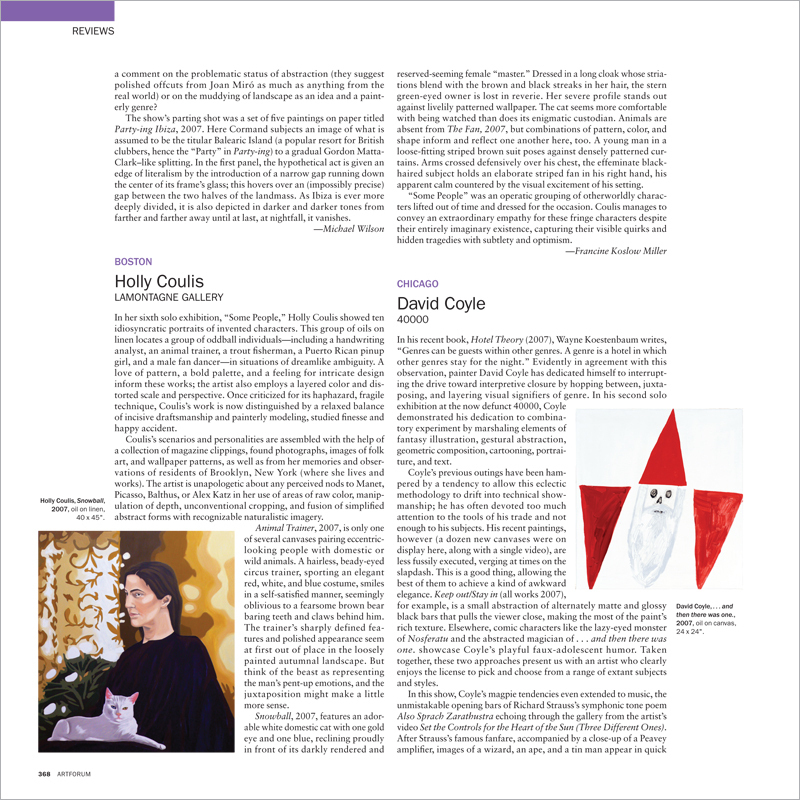 In her sixth solo exhibition, “Some People,” Holly Coulis showed ten idiosyncratic portraits of invented characters. This group of oils on linen locates a group of oddball individuals—including a handwriting analyst, an animal trainer, a trout fisherman, a Puerto Rican pinup girl, and a male fan dancer—in situations of dreamlike ambiguity. A love of pattern, a bold palette, and a feeling for intricate design inform these works; the artist also employs a layered color and distorted scale and perspective. Once criticized for its haphazard, fragile technique, Coulis’s work is now distinguished by a relaxed balance of incisive draftsmanship and painterly modeling, studied finesse and happy accident.